Avvocato in Vicenza, Alberto Dal Ferro mainly deals with European Union law in its various branches, in particular with regard to competition law, State aids, the free movements of persons, goods and services, agriculture, tax harmonization, civil service and European Union funds. Consultant of CastaldiPartners, Alberto Dal Ferro is a founder partner of DFA, a law firm based in Vicenza, Milan and Brussels, which is independent from CastaldiPartners although linked by a collaborative relationship, which is over twenty years old. Alberto Dal Ferro has pleaded over a hundred cases before the Court of Justice of the European Union, the European Union Court and the former European Union Civil Service Tribunal. 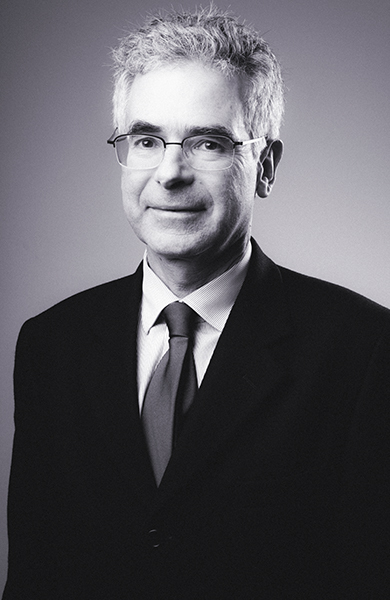 After a first period spent in Padua with an international law firm, Alberto Dal Ferro worked at the Court of Justice of the European Union, served his apprenticeship in Brussels with an Anglo-American law firm and then became the co-founder of DFA, a law firm based in Vicenza, Milan and Brussels. He works in French, English and Italian. interpretation of World Trade Organisation (WTO) provisions and links with EU regulations, particularly in the fresh food sector (chards, bananas). He regularly participates in meetings, conferences and seminars on European Union law topics.